At the end of the school day, they emerge like cannon fire: exploding through the school’s double doors with a running, tumbling, scuffling roar. Teasing, laughing, pinching, shoving – eleven years old and set free – they burst chaotically across the wide tarmac of the sun-filled playground and out through the gates before the bell has stopped sounding and while the laggards are still clearing their desks. On they run. Clattering their wooden rulers along the chain-link fence, they race ricocheting down School Lane: Tim Harden, Henry Phippard, Chris Bonfield, George Riggs, Tom Pushman, Lucy Kennison, Charlie Clark. At the end of the lane, they are brought to an unwelcome and sudden halt by the forbidding hand of Mr Smead, the pinch-faced lollipop man; they fall quiet, stand obediently at the kerbside and wait. An impatient minute passes: it feels like an hour. But then the traffic clears and they are waved across and soon they are hopping zigzags through Ruskin Park; they are chasing, skipping, windmilling across the grass. An hour passes: it feels like a minute. They drop their satchels and wrestle; climb the steep shining slope of the playground slide; push the swings, higher, higher; turn cartwheels, scrape their bare knees, scuff their shoes. They link arms and sing: Top of the Pops, tunelessly, at the tops of their voices. And they play the game they always play. Tom Pushman knows everything. He comes top in every class, first in every test: he’s always reading – and what he reads, he remembers. They try to beat him every day. Usually, he’s to be found at the noisy thick of things – but today he’s fallen a little behind the rest. He’s dragging his feet unhappily; his head is bowed. ‘How tall is it, Tom?’ Lucy says, skipping around him. ‘Twenty nine thousand feet,’ he says. Not looking at her. ‘One hundred and sixty eight,’ he says, without a pause. Not looking up. They all shrug; Charlie Clarke straightens her ponytail and glares. If Tom Pushman says it’s one hundred and sixty eight, it must be right. When it’s time to leave, they make their chattering way slowly beyond the park to the tall detached houses and gravel drives of the Grove. One by one they peel away to their front doors, shouting their goodbyes. That’s what they call him. They call him that too. Finally, it’s just the two of them left and they turn to walk through the last of the leafy avenues of the Grove, towards Skinners, the shabby, grey-slabbed council estate beyond. And as soon as they are alone, Charlie does what she has always done. She slips her hand into Tom’s and waits for him to squeeze and hold it tight. CLICK here for the FREE opening chapters now. There’s something wrong, she knows it. He hasn’t given her hand a squeeze, like he’s meant to. He isn’t swinging along, smiling, talking like he usually does. ‘Is everything all right, Tom?’ she says. ‘We are still friends?’ she says, suddenly anxious. He looks at her, manages a smile. Best friends, he thinks. Best friends ever. Always. ‘What is it then?’ she says. He stops. Let’s go of her hand. Looks down. Kicks at the pavement. She shakes her head. They live next door to one another, always have; his bedroom looks across to hers. But she hadn’t heard anything. Not this time. ‘It was the worst. The worst ever,’ he says. It had been bad for months. His mother had been getting increasingly erratic, dangerously dark, combustible. She’d been like this before – but his father’s answer this time had been to spend even more time propping up the bar in the Skinners Arms. And that had made her worse. Last night, the wild damaging storm that had been threatening all the while had broken. Charlie takes his hand again. Squeezes. ‘It’ll be all right, Tom,’ she says. It’s his turn to shake his head. Charlie drops his hand, panicked, outraged. He shrugs. He doesn’t know. ‘Forever?’ she says, her world collapsing. ‘When?’ she says, her eyes wide. He shrugs again. But he thinks it’s soon. He thinks it’s now. They are outside Tom’s gate now. She looks so pleased with herself, he can’t help smiling too. He’d forgotten about the test: the Eleven Plus. But he knows it won’t make any difference to his mother. She won’t listen: when she’s like this, it’s as if she can’t hear anything, only what’s inside her head. If she’s decided they’re leaving, that’s it. ‘I’d better go in,’ he says, frowning, glancing towards his front door. She picks up her satchel. From inside the satchel, she takes a sheet of paper, folded into a square. She hands it to Tom. Tom carefully unfolds the paper. Inside are two small loops of golden thread. She hadn’t meant to give it to him now; she wasn’t sure she was ever going to give it to him. She’d thought he might laugh at her; she was going to wait and see. But now? She takes one of the threads from the paper. ‘Hold out your hand,’ she says. He obeys her, wondering. And then watches as she ties the thread around the finger where his father wears his wedding ring. ‘Now you,’ she says, holding out her hand. He threads the loop around her finger, manages to tie a bow. ‘There,’ she says, her eyes filling. Tom doesn’t know why but he can feels tears pricking too. But in her heart she feels a cold stab of truth: she knows she doesn’t believe it. There’s a distant shout from across the High Street. Charlotte doesn’t hear it: she’s busy with her friends. And anyway, no one calls her Charlie any more. It’s the time of the day she loves most: all the girls together, the usual going-home crowd in their royal blue Grammar School blazers and summer dresses, walking arm in arm, laughing, all talking at once. Today the talk is all about what happened in double Chemistry; about bossy Mrs Wright, threatening to measure their skirts next term; what Tim Harden said to Lucy Kennison at lunchtime; Chris Bonfield being caught smoking behind the tennis court – again ; about George Harrison on Top of the Pops last night; Diana Rigg’s groovy new boots on the Avengers; about Susie’s birthday party at the weekend – were they all going? what were they wearing? shall they get ready together? They’re the Grammar School smart set. None of them ever says so aloud – but they all think it. Thirteen going on sixteen, they hold their heads high, wear their hair long and straight and their school summer dresses as short as they can get away with. Charlotte loves to be part of it – even though she always feels she has to be on her guard, trying hard to fit in. She knows she isn’t truly one of them, doesn’t really belong. And because of this, she’s learned that there are times when the best thing, the only thing, she can do is keep quiet, nod, smile. It’s been like that today: when they were discussing where they’re going on holiday in the summer with their parents or talking about their new dresses for the party. There are no holidays, no new dresses for her: Mum and Dad simply can’t afford them. And although she’s been to all of their houses – gone up to their bedrooms, sat on cushions on their floors, listening to the latest singles on their Dansette record players – she’s never invited any of the girls home with her. She couldn’t! She wouldn’t want any of them know that she lives in a squeezed council house on Skinners. Everyone knows how rough Skinners is: no one wants to go there. And she wouldn’t want them to see her tiny box-like bedroom where there’s no space to put a cushion on the floor. Or a Dansette either. Even if she had one. It’s not that she’s ashamed, she tries to tell herself. Not exactly. It’s just that if they knew she lived on Skinners and that her mum and dad were just ordinary – that they didn’t know the right words for things, the right things to talk about, that Dad didn’t work in an office, he was only was a decorator – they might turn their backs on her. She’d seen them do it to other girls who had said something they didn’t like or who they thought were common. CLICK here to start reading the opening chapters FREE now. The shout from across the street comes again. They all stop this time, fall silent, stare. He’s two years taller, of course: his hair is longer. But Charlotte recognises him at once. She blushes crimson. ‘Who is that?’ Susie says, appalled. He’s wearing the black school blazer of the local Secondary Modern school. They are Grammar School girls: they don’t talk to the Eleven Plus failures at the Secondary Modern. Charlotte doesn’t understand: Tom Pushman, who always knew everything, who could answer every question. At the Secondary Modern? It makes no sense. ‘Do you know that thing?’ she says, as if he has slithered from the gutter, from some dark, repellent place beneath a stone. Charlotte recovers herself, thinks quickly. Laughs too. ‘Yuk!’ Susie says, grabbing Charlotte’s arm sympathetically, rescuing her, steering her away. Charlotte breathes more easily. The crisis has passed and they are off again; laughing, talking. But as they go, she glances back and across the road. When he left, she’d missed him so much she thought her heart would break. She’d kept the golden thread on her finger every day and had cried when it had finally worn away, when it was gone. She thought she would never get used to him not being next door. Not walking with her, holding her hand. But, as the summer months had raced by, she’d found herself thinking about him less and less. And by the time she got to the Grammar School, she hardly ever thought about him at all. She’d felt guilty about that at first, as though she was letting him down. But she has new friends now. Her whole life is different. Sees Tom’s head drop, his shoulders sag. And she feels that stab again – only this time it feels like shame. In the two years since he left his home on the Skinners estate, there have not been many easy days for Tom Pushman. They had left as he’d feared they would. Immediately. The morning after Charlie had given him the golden thread, his mother – with two hastily packed suitcases and just a few pounds in her purse – had shepherded him out of the house and on to the first bus that arrived at the bottom of the road. He didn’t know where they were going: neither did she. For an hour, he sat in desperate silence at the front of the top deck watching the stop-start miles pass. Disembarking randomly in North London, they tramped the streets that afternoon looking for somewhere to live. The only place they found was a cheap bedsit in the attic of a dark, creaking Victorian house. Tom’s bed was a sagging sofa that somehow smelled of boiled cabbage and stale cigarettes. That first night, he lay awake and listened to the unfamiliar noises of the house, to the fretful clawing of the bough of a tree against the skylight. He was eleven years old: alone, afraid. He didn’t know where he was; he missed his friends; he missed Charlie; he missed his father. And he was frightened for his mother; frightened of her too, of the distracted, unravelling look in her eyes. After that everything had happened too fast. Within a week he was at a new primary school. In the playground, during the first morning break between lessons, he was knocked down by two bigger boys. In an instant, the whole school formed a baying circle around and the two boys kicked him. Kicked him. Until a teacher appeared and pulled them off. Bruised and shaking, the next day he’d sat the test, the Eleven Plus. What had Charlie said? It was the most important thing … like ever. As the minutes ticked by, he’d stared at the paper, hardly answering a question. It was as if his mind had been emptied: as if everything he knew was left behind at Skinners. As if he had nothing left inside. He wasn’t surprised when the letter came saying he’d failed. That summer was long and lonely. Every day, alone in the bedsit while his mother searched for work, he’d pictured them all in Ruskin Park: Tim Harden, Henry Phippard, Chris Bonfield, George Riggs, Lucy Kennison. And, of course, Charlie. Most of all, he’d thought of Charlie. On the bus, he’d slipped the ring of golden thread from his finger and had folded the sheet of paper around it, to keep it safe. Every day that summer, he retrieved it. Held it while the tears came; until they stopped. Soon enough though, he learned not to cry. On his first day at the North London Secondary Modern school that September, someone grabbed his satchel and flushed it in the toilet. Tears now would be fatal, he knew: the other boys would never forgive, never let him forget. He fought them back: no more tears, he told himself. No more tears. And then, just when he thought it couldn’t get any worse, it did. During a lesson that first afternoon, he made the mistake of putting his hand up, answering a question from the teacher – ‘Can anyone tell me the capital of Venezuela?’ – and was greeted by sneers and a clip on his head from the boy at the desk behind him. After that, he kept his mouth shut. When he was a Skinners boy, he used to love leaving the estate behind and going to school. But here it was different: no one wanted to be at the school, no one was interested, no one did any work. And the teachers – worn down, defeated – did little about it. The limit of their ambition seemed to be to keep order, to survive another lesson, get through another day. And that’s how Tom felt too. He quickly concluded there was no point in even trying at school. Anyway, he told himself, he had enough to think about at home with his mother. She had become his responsibility. Flitting in and out of temporary work, she waited tables, washed up, worked in bars, stacked shelves. He, meanwhile, watched over her: watched for what her eyes were telling him, to see how close she was to the precipice. He did the shopping, the cooking, tidied the bedsit. And he tried to keep their world quiet and ordered for her; to keep her safe. One day, when Tom got home, his mother wasn’t there. He didn’t go to school the next day: he stayed in the bedsit, waiting for her. Still she didn’t come. For three days, he waited. Afraid. Not knowing what to do. Finally there was a knock at the door and a social worker was standing nervously on the mat. There was nothing to worry about, she said quickly. She was more flustered than he was. There had been a problem, an incident, she said. In a shop. She paused, considering the best way of putting it, looking for something suitably anodyne. His mother had got upset, she finally said. Tom closed his eyes. Pictured it. His mother on her knees. Rocking. Crying. He’d seen it before. She was now in hospital. It was a special hospital – the social worker had laboured the word – and he didn’t have to worry about her any more. She was being cared for – and he was going back to be with his father. Tom greeted the news of his return with guilty relief. He was leaving his mother, he hadn’t kept her safe, he felt he’d failed her – but at least now she was being cared for. He’d no longer have to watch her eyes, watch her slipping towards the edge, the void. And it would be a new beginning for him. There would be a new school that might not be so bad. There were all his old friends to pick up with. There was Charlie. He’s been back two days now – but it hasn’t worked out how he’d imagined. He’d thought he would be going back to what he knew; to Skinners, his old house, his old room. But his father had moved to a one-bedroomed maisonette on the other side of the borough. And Tom was back on a sofa again. On his first day at the new school, they’d given him a second-hand blazer and tie from a cupboard they kept for pupils whose parents couldn’t afford new. The arms of the blazer aren’t long enough: it smells of mothballs. It makes him feel as if everyone is looking at him, judging him. In the classroom and in the zoo of the playground – swaggering older boys, jeering older girls – no one had spoken to him. Except for one teacher, who yelled at him to get a haircut. Worse: none of his old friends were there. They’d all managed to get into the Grammar School. And now Charlie has turned her back on him, walked away. He’s come looking for her at the first opportunity, with his heart beating loud. But she’s acted as if she doesn’t know him, doesn’t want to know him. As if she doesn’t care. He turns and walks back along the High Street. No tears, Tom, he tells himself. No tears. He hadn’t expected to see her. Especially here. This is his place, on his side of town. The Grammar School crowd don’t usually come this way. Not even for the weekly dance. It is early evening and they are outside the church hall. He’d seen her ahead of him, called her name: this time she had stopped, told her friends to wait for her inside. They are standing together. Awkwardly, under a streetlamp, on the pavement. Tom lights a cigarette, offers her one. She shakes her head. He doesn’t know what to say to her. ‘You smoke?’ she says, breaking the silence. She doesn’t mean it to, but it sounds like an accusation. It’s obvious they don’t belong together. He’s a fifteen-year-old would-be biker: greased hair, leather jacket, black shirt, jeans. She is Joni Mitchell: flowers in her hair, a white floating blouse, wide flares. Despite their differences, he thinks she’s beautiful. Just like she always was – even when they were seven years old and used to sit on the kerb together, feet in the gutter, outside her house on Skinners. He can’t tell her that though. Now that he’s finally with her, he barely has any words at all. ‘What brings you here, Charlie?’ he finally manages, nodding towards the church hall. She gives him a quick tight smile, glances towards the door: she wants to be inside, she’s not sure why she stopped. He’d caught her by surprise – and she didn’t want to snub him again. But it’s obvious they have nothing to say to each other, nothing in common. Tom doesn’t know why, but suddenly he’s angry. He fights it back. ‘Sorry,’ he says, hearing the sullen note in his voice. Charlotte shakes her head: she hadn’t meant to upset him. Inside the hall, the music starts, the dance has begun. They both look towards the door, look back, meet each other’s eyes, look away. ‘It’s been a long time,’ Charlotte says. He nods abruptly; flicks ash from his cigarette. In the past two years, he’d seen her in the distance from time to time; on the other side of the road, going into a shop or a coffee bar. But he hadn’t tried to speak to her again. Didn’t want to risk it. She too had seen him – but had crossed the road or gone into a shop to avoid him. She wasn’t sure why. It had just felt too difficult. He doesn’t say anything. She tries again. ‘Brainbox!’ she say, delightedly, remembering. ‘Yeah, well,’ Tom says, pulling on his cigarette. ‘What happened, Tom?’ she says. Suddenly she really wants to know, is surprised how much she really cares. It’s the first time she’s used his name. He looks up. ‘My mum was…’ he begins. And then realises he doesn’t want to talk about it, can’t talk about it. Charlotte waits – but he doesn’t say anything more. Tom nods. He understands – but now that he’s seen her again, now they’ve at least spoken, he wants more. He wants her back. His. Like she always was. Charlotte bites her lip. She doesn’t want to hurt him but it was all too long ago. She has a different life now. ‘Forget it then,’ he says, feeling the anger surge, sending his cigarette stub arcing into the road, walking away, hands in pockets, shoulders slouched, not looking back. There’s a sudden rush of autumnal wind whenever the door of the Wimpy Bar on the High Street swings open. Every new gust is greeted by a shivering, dispirited groan from those huddled inside – and Tom Pushman, flicking his jacket collar up, finds himself hunching further over the corner table. He’s been there for twenty minutes now, nursing a cup of tepid tea and reading the newspaper. He’s not due back at college for another hour. The door opens again. But this time the groan is cut short – interrupted by a piercing wolf-whistle. Heads turn: Tom’s amongst them. He knows her at once – and yet doesn’t know her. She looks … she looks … amazing. Like she’s walked straight off a magazine cover. Long glossy hair; Afghan coat; a tasselled bag carelessly over her shoulder; knee high boots. Another whistle – which she dismisses with an irritated toss of her head. She looks across to the corner, wrinkles her brow. And then she recognises him. Just. He nods, smiles. They both laugh. ‘Come and sit with me,’ he says, half-standing, pulling out a chair. Whatever tension there was last time they met has gone. It was so long ago – that must be it, Tom thinks. Three years? They were just kids. Fifteen? He’s older now. Wiser. She’s astonished at how pleased she is to see him. Last time had been awful – outside some disco? – but now it’s like seeing someone she was really fond of a very long time ago, that she’s delighted to meet again. Maybe, she thinks, she’s getting sentimental about Skinners already! And she hasn’t even left it behind yet. Not until Monday. He gestures to the waitress: teas, two. She blushes – and she can’t remember the last time she blushed. He’d taken her by surprise. And just when she was thinking how tall and good looking he’d grown up to be: quite the Robert Redford. Tom shakes his head. Smiles. ‘I can’t keep up,’ he says, knowing how ridiculous it is. Can’t keep up? It’s only the second time he’s spoken to her since they were eleven years old. He’s glad: Charlotte was so unnatural, clumsy on his tongue. It didn’t suit her. ‘What are you up to now?’ she says. Hesitatingly, he tells her. About the apprenticeship, the day release classes at college. ‘Painting and decorating,’ he says. She’s shocked; tries not to show it. She still has him somewhere in her mind as the Professor, Brainbox, always top of the class. A decorator? Like her dad? ‘What about you?’ he says, changing the subject. He doesn’t want to talk about the apprenticeship. He’d left school two years before without a qualification to his name, just glad to be out of it. He hadn’t a clue what he was going to do: it was his father who’d pushed him into it. ‘Me?’ Charlie says, hearing a note of something like guilt in her voice, something like embarrassment. She doesn’t want to sound like she’s showing off. ‘Yes, you!’ Tom says, laughing again. ‘I’m off to college,’ she says. Whenever Tom had thought about her over the years – and he’d never been able to put her far from his mind, he’d thought about her often – he hadn’t anticipated this, hadn’t considered it as a possibility. Why would he? Apart from a few of the teachers at school, he’d never met anyone who had been to university. He’s disappointed she’s going away, hurt; even though he never sees her, he has somehow always taken comfort from knowing she’s there, somewhere close by. ‘Wow,’ he says, not knowing what else to say. She fishes in her bag, pulls out a printed sheet of paper, hands it to him. He starts to read; recognises nothing. She looks at her watch again, looks to the door. The girls will be here soon. And although it has been good to see Tom , it’s obvious they haven’t got much to talk about. Not any more. It’s getting awkward again. Tense. She thinks of a way of talking about something else. ‘How’s your mum and dad?’ she asks. ‘And your mum?’ she says. She’s never got out: never will, the doctors say. Tom doesn’t go often, it’s too difficult, painful – he doesn’t know her now and, with all the medication, she hardly recognises him. The troubled look has gone from her eyes. But now there’s nothing there. Nothing. He looks at the table, lifts his cup, sips his tea. He doesn’t know why it’s so difficult to talk to Charlie. It’s as if everything he says makes him sound apologetic, like he’s second rate – third rate – and she’s above him, out of reach, unattainable. He even feels he has to apologise for his mother. ‘Your poor mum,’ Charlie says. They fall silent. He sees her glance at her watch again. She quickly drinks her tea. He doesn’t know what to do. Kiss her on the cheek? Shake her hand? ‘Well, good luck with everything,’ he says. ‘And you,’ she says, standing up, pecking him on the cheek. ‘Have fun … at university,’ he says. He doesn’t know why he said it, where it came from. He hasn’t seen her for years and suddenly he’s talking about visiting her? He can hear how ridiculous, needy, weird it sounds. ‘Perhaps,’ she says, too quickly; glancing at her watch again; looking pleadingly towards the door. Tom Pushman and his wife are negotiating the High Street – it’s not easy, especially pushing the buggy. It’s slippery underfoot, treacherous: the snow that had fallen over the weekend has been slow to clear, has turned to blackened ice. ‘Whoa!’ Margaret says, feeling her feet slide. Tom takes her arm, steadies her. ‘Here, let me take the buggy, Mags,’ he says. They make their way slowly, laughing at their shuffling, halting progress: Tom pushing two-year-old Christopher in the buggy, Margaret hanging tight to his arm. At the greengrocer’s, Tom waits outside with Christopher while Margaret joins the queue inside. It’s then that he sees her. Coming round the corner, coming towards him on the arm of a man in a tailored Crombie overcoat and leather gloves. She is wearing a knee-length camel coat, fur ear muffs and a long wrapped-around scarf. Tom isn’t sure what to do, what would be best. He’s embarrassed; doesn’t want another encounter like before. Should he ignore her, pretend he hasn’t seen her? Charlie solves the problem for him. ‘Tom Pushman!’ she says, delightedly. He meets her eye, smiles. ‘Charlie Clarke!’ he says, dropping his cigarette, grinding it beneath is heel. ‘Charlotte, I’m afraid,’ she says, laughing. She comes slip-sliding towards to him, puts her mittened hands on his shoulders to keep herself from falling. He bends; she kisses him quickly on the cheek. It had been a strangely emotional day. Although she’d left seven years before, had never really come home after university, her engagement to Colin felt like a final separation from her childhood. She’d wanted to share it with him, make him understand. But getting out of his car in Skinners, he’d looked what he was: a fish out of water. Nodding a brief greeting to Colin, Tom looks at her appraisingly; she’s still recognisably Charlie, but everything about her seems brand new, polished, confident. Even her voice has changed. There’s no Skinners left in her. Tom doesn’t want to hear about Colin. She kicks herself as soon as she says it. Does he look as though he goes to galleries? ‘Yes, I’ll do that,’ Tom says, knowing he never will. ‘What about you?’ she says. He’s suddenly conscious of the way he’s dressed. He’s taken an hour off work to help Margaret with the shopping. Beneath his paint-splattered Parka, he’s still wearing his overalls and working boots. ‘Oh, just the same,’ he says. She spots the buggy, glad of the distraction. ‘This is Christopher,’ Tom says. He doesn’t know why but he’s uncomfortable, ashamed. Ashamed of his own son? No, that can’t be it. Ashamed of his life, more like: of being twenty-five, paint under his finger nails, and already middle-aged, settled, dull. Never having been to Europe, Asia, the States. ‘And how old is Christopher?’ she says. Tom turns, meets her eyes. In all the growing up together, he’s never noticed how blue they are. Their heads are close: he can smell her perfume, see her breath, misty in the cold. ‘He’s a terrible two,’ he says. Charlotte takes a mitten from her hand, runs a finger over the boy’s cheek. He has the look of his father, she thinks. When he was a boy. Colin sighs, stamps his feet behind them. At that moment, Margaret comes through the shop door, brown paper carrier bag in hand. Still bending beside Charlotte, Tom looks up. And now he feels guilty, as well as ashamed; as if he’s been caught, doing something illicit. He stands quickly. So too does Charlotte. He pretends to forget Colin’s name. She likes the look of Mags at once; likes the way she takes Tom’s arm, claiming him. She would do the same if Tom was her man. ‘Charlie … Charlotte … and I used to be neighbours,’ Tom says. ‘A very long time ago!’ Charlotte says. Mags looks at Tom, looks at Charlotte: a question in her eyes. ‘Nice to meet you,’ she says, taking Charlotte’s offered hand. Tom can see Margaret hold herself taller. He feels a rush of desperate pride for her. He knows that, in an instant, she will have taken in how well Charlotte is dressed, how well she speaks – and yet she hasn’t missed a beat, has refused to be cowed. Colin stamps his feet again; it’s obvious he wants to be going. Tom isn’t letting him off that easily. ‘So what brings you back down here, Charlotte?’ he says. ‘Charlotte, we really must be going!’ he says. Charlotte shrugs an apology: she quickly shakes Margaret’s hand again, kisses Tom on the cheek. Colin says a curt goodbye. ‘Goodbye, Tom,’ Charlotte says as Colin begins to lead her, slipping unsteadily away, over the ice. ‘Well, no one would guess it now!’ she calls after her. Tom had waited outside in the drenching rain until the last moment: he’d taken shelter under the dripping sway of a weeping willow and had been the last to go into the crematorium. Dabbing the rain from his silvered hair and his face with a handkerchief, he’d sat alone at the back. He’d kept the handkerchief with him when the service began: he needed it. No more tears, he’d spent a lifetime telling himself. But he’d cried for her; Charlie’s mum. There was no one he’d known longer in the world – and he’d grown close to her in the last fifteen years or so, after his own parents had gone. First Mum, who never did get the spark of life back into her eyes, never did make it out of hospital: then Dad, the cigarettes and the beer catching up with him. He’d had no tears for them. Not because he didn’t love them, didn’t care – but because he’d done all his crying long ago. When he was eleven years old. She was a good sort; Charlie’s mum, Mrs Clarke. She’d talk for hours about the way life used to be when she was a girl, growing up. And about when he and Charlie were young. He’d heard all her stories a hundred times. He wished he could hear them again. More than that: her going felt like the end of something solid, something sustaining in his life. It was the last connection with his childhood, with Skinners. With Charlie. As the service comes to an end, he wonders again whether he should have come. He isn’t family, he doesn’t really belong here – and he doesn’t want to intrude. He hopes he can slip away unseen at the end. It hasn’t worked out like that. There had been no alternative but to follow everyone else out through to the garden of remembrance. The rain has stopped and he’s face to face with her now. ‘You won’t remember me,’ he says. Charlie shakes her head. He’s the last in a long line she’s had to greet, to thank for coming. Towards the end, the faces had begun to blur. There is something about him that she recognises – but she can’t place it. He stops her with a smile. Thirty five years since they last met – and then only briefly. Nearly fifty years since they walked home from school hand in hand. She matches his smile and he sees the girl in her that he remembers; that he’s always carried so carefully in his mind. Time has been kind to her. Again she shakes her head. How can she not have known that? ‘Mum never told me,’ she says. ‘No,’ he says, smiling again. He looks into her eyes; the deepest blue. He hadn’t intended to go on to the Skinners Arms but Charlie had insisted. ‘Mum would have wanted you here,’ she said. It has been a good do, Mrs Clarke would have approved: beer and sandwiches, sherry for the ladies. All the old stories, plenty of laughter. One of her friends from the Social Club has even sung in a high wavering voice. Tom had tried to leave an hour ago. Charlie wouldn’t let him. She’s been too busy with her mother’s old friends, listening to their tales of her when she was young. Throwing her head back and laughing. She’d been dreading this day, particularly this part of it. But it’s what her mother had wanted. Well it isn’t exactly a knees-up, but it’s so much better than Charlie had expected. She’s enjoying it. From time to time, she’s caught his eye and smiled. Tom Pushman, who would have believed it? She’s intrigued. The years show on him, of course they do – but, now she’s able to look at him, he’s still unmistakably Tom. And his age suits him: he looks so … so distinguished. She’s been trying remember his wife’s name. But it’s gone. And he had a son, didn’t he? His name’s gone too. The last of her mother’s friends have left, they are alone now; sitting at a sticky table, in the corner of the snug bar. ‘So you went to see Mum?’ Charlie says. She still doesn’t understand why she didn’t know. He’s self-conscious, careful: still getting used to the idea of being with her, talking to her. It seems so unlikely, after all this time. ‘She never told me,’ Charlie says. ‘That’s because I asked her not to,’ Tom says. Tom shrugs; searches for the words. She blushes: not for the first time in her life, he has taken her by surprise. They have talked for an hour. More. She doesn’t know why – but she has told him everything about herself. There’s something about him that makes it easy to talk. Or perhaps she’s had one glass of sherry too many? That must be it. Anyway, she’s told him things that she hasn’t spoken about with anyone. It’s all just come tumbling out. She’s talked about Colin, leaving her after twenty years of marriage, going off with someone half her age; about her distance from her two boys – Oliver and Harry; how Colin had insisted they went to boarding school, how she’d felt she had begun losing them from that moment. She sees them only a couple of times a year now. About how everything fell apart when Colin left; the emptiness in her life that she’s now filled with opening her own gallery, with trips to the theatre, good friends in Fulham. And all of that has led her back to talking about her mother. ‘She thought the world of you,’ he says. Tom tries to say something. She won’t let him. ‘Not go to parties?’ Tom says. She doesn’t let him finish. She pauses. Looks down at the table. She suddenly needs to tell him, to explain. She’d been thinking about this as she’d listened to her mother’s friends. They seemed so real, at ease with themselves – whereas everything in her life seemed insubstantial, false, brittle. She’s conscious of the fact that she’s talking too much, sounding ridiculous. But it’s as if she needs to try to explain it – to herself as much as to Tom. ‘Do you know something, Tom Pushman?’ she says. ‘What’s that, Charlie Clarke?’ Tom says. She hesitates. She has had one glass of sherry too many, hasn’t she? She wishes she hadn’t begun. She takes a deep breath, starts again. Suddenly, from nowhere, she’s fighting tears. Tears for her mother; tears for a young girl who used to sit on a kerb and turn cartwheels in the park. It was only afterwards that Charlie realised that not only had she talked far too much, he had said so little. She’d learned that he and Mags had divorced not long after their son, Christopher, had got married. He didn’t elaborate; Charlie hadn’t liked to ask. Mags had met someone else, remarried; he was happy for her. He saw Christopher regularly; they went to football together. Beyond that she knew nothing of his life. She’s cross with herself at how much she told him; how much of herself she’d given away. Cross too that she had been maudlin, self-pitying at the end. She’d made such a fool of herself – poor little rich girl has lost her roots – how absurd it must have sounded compared to his life; she remembered her dad, the daily struggle it was for a painter and decorator just to get by, pay the bills. For the past two days, she has been going through her mother’s house; getting it ready to be cleared, unearthing dog-eared photographs, faded letters, memory-laden trinkets and treasures. It has been exhausting, emotionally draining. She’s glad to be out of the house and in a taxi now – although she wishes she was on her way back to Fulham and not to him. But there’s nothing for it – when they’d left the Skinners Arms on the day of the funeral, they’d arranged the time and the day, he’d given her his address but no telephone number. She has to go through with it. Almost as soon as she’d got back to the house that evening, she’d regretted agreeing to meet him again. Stupid! What were they going to talk about now? They’d exhausted all the childhood nostalgia; she should have left it at that. Fond memories. Old friends. She’d tried to say this to him, as soon as he’d suggested she come to his house for a meal. He’d interrupted her, made a joke of it. She hadn’t laughed – because it seemed to sum up too exactly the gulf between them. But in the end, her middle-class manners had won the day: not wanting to offend him, she’d given in. In the back of the taxi now, she closes her eyes. When she gets to his house, she’ll apologise, make an excuse – she’s got a headache, she’s not feeling well – go home to Fulham. The taxi turns a corner to a tree-lined avenue of tall detached houses and crunching gravel drives. The car slows. Charlie’s eyes open: she speaks to the driver. Tom had told her that where he lived now was just around the corner from the Skinners Arms. The driver shakes his head. ‘It’s the address you gave me, love,’ he says, handing back the slip of paper that Tom had given to her. When Tom had given her the address, she’d put it straight in her handbag. She checks it now: there’s no mistake. Tom, lives on the Grove. She remembers. They used to walk through here, saying goodbye to all the other children: Tim Harden, Henry Phippard, Chris Bonfield, George Riggs, Lucy Kennison. She smiles. Who would have thought that Tom Pushman would end up here? He’s done better than she’d imagined. Good for him. ‘Can you wait for me, driver?’ she says, as they reach the house. ‘I’ll wait for you forever, sweetheart,’ he says, grinning, pointing to the running meter. At the door of the house, she hesitates, composes herself, rings the bell. It opens at once. Tom greets her with a wide smile. He doesn’t let her finish. He gives her no chance to argue, setting off down the drive, leaving her on the doorstep, paying the taxi. ‘Tom, I—’ she tries again when he comes back up the drive. He raises a hand as if he’s halting traffic, stops her. The hallway is bright and embracingly warm; light plays through the stained glass of the door. The walls are hung with gold-framed lithographs of Dickensian London, a Persian carpet sits thick on the burnished parquet flooring. There’s a rich pervasive smell of beeswax polish. Tom sees Charlie’s eyes grow wide. She’s impressed. He’d hoped she would be. As the door to the flat opens, Charlie can’t help herself. In her mind, she’s had Tom in a council house on Skinners, much like her mother’s: a dingy living room, worn and threadbare; a kitchen, confined and unwelcoming. The room is high-ceilinged and light floods through a sweeping bay of silk-draped windows. The carpet is sinkingly sumptuous; the furniture startlingly white, sleek, low and modern. It’s a room from the pages of a Sunday supplement, from Ideal Home. It makes Charlie’s terrace house in Fulham seem cramped and old-fashioned in comparison. Again she gets no further. ‘I owe you an apology,’ he says. ‘I let you think I was still in the painting game,’ he says. Charlie wanders the room, trying to make sense of it. Tom? Living here? Like this? She calls to him in the kitchen: she wants to check her make-up, her hair. She goes through to a wide corridor. But instead of going to the right, she pauses at the door opposite. It’s half open; curious, she pushes it wider, steps in. In the centre of the room, where the sunlight spills through the open window, is an imposing mahogany desk with a leather captain’s chair. But it’s not the desk that is the most striking feature of the room – it’s the walls. Floor to ceiling, they are lined with bookshelves. And every shelf is crammed to overflowing with books. ‘You’ve taken a wrong turn,’ Tom says. His voice behind her makes Charlie jump. He can’t help the note of pride in his voice. All these years and he still hasn’t really got used to it. Tom leads her by the arm to a Chesterfield sofa in the bay of the window. They sit together, half-turned towards one another. Tom sits back, considering how to explain, where to begin. Charlie is still struggling to see where he’s going. It’s Charlie’s turn to interrupt. She gets it now. Even now Tom can feel the old anger, taste it: children separated like sheep and goats, their lives determined at eleven by a test. It was an outrage. A bloody outrage. He fights the anger back. ‘A fabulously unique debut’ (ireadnovels). 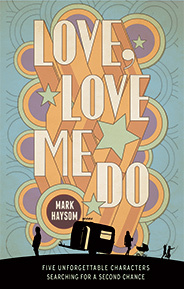 Mark Haysom’s LOVE, LOVE ME DO – one traumatic day for Baxter. Click here to buy it now from just £4.99p! If all the schools had been the same – if there had been a comprehensive system back then – he explains, he might have struggled for a few months because of what was happening to his mum. But, given time and encouragement, he would have got back on track. got his O levels, his A levels, gone to university. And there were so many hundreds of thousands like him. Written off as failures – writing themselves off as failures – at the age of eleven. It was a national scandal, he says. A crime against children. A form of abuse. Charlie can feel her eyes filling. She understands like never before. She’s spent her life being grateful for the opportunity the Grammar School gave her – for the way it lifted her out of Skinners and on to university, to the life she now has. She’s always been uneasily aware though that there was another side to the story, of course. But she’s never seen the lifetime of anger that went with it. The hurt. The damage. ‘And now?’ she says, looking around the room. ‘You’re to blame for all this, you know,’ he says. He turns to the bookshelf behind the sofa. She follows his eyes. ‘Do you recognise these?’ he says. Charlie glances along the shelf. ‘I know some of them,’ she says. Baffled, Charlie studies the shelf again. Charlie nods. She has a distant memory of it. Charlie does remember hunting everywhere for the list; blaming her mum for throwing it away, panicking before she got to university. ‘So that’s where it went!’ she says. As the years had gone by, the distance between him and Mags had grown, he says. It wasn’t her fault: he was angry at the world, unhappy with everything in his life, she could do nothing right, nothing to please him. When Christopher left home, shortly afterwards so did he. He’d found himself a cheap rented room and, with no money and nothing else to do, he’d joined the library and started to read. He remembered Charlie’s list of books – and he set about reading every one of them. Cover to cover. It was tough going at first. But, as the months went by, it got easier. ‘You’ve read them all?’ Charlie says, amazed. Once he’d started reading, he’d found he couldn’t stop. He enrolled at night school – did his O levels, A levels. ‘Wow indeed, Charlie Clarke,’ he says. Remembering all the years of study; giving his life to it; loving every minute. ‘You’re a professor!’ she says. She’s got stuck on the word. There’s a silence between them as she tries to digest it – what he’s made of himself, how hard it must have been. She feels inadequate beside him. Somehow shallow. Almost a fraud. She’d always been so proud of making it to university, but there was no comparison. Not with this. And she’d made assumptions about him too. Such wrong assumptions. Tom shifts from the sofa, stands. ‘Wait here a moment, Charlie,’ he says. He goes across to his desk and from the top drawer, he retrieves a sheet of paper and an envelope. She laughs as she takes it, feeling suddenly like the girl she was when she held it last. He hands her the envelope. ‘What’s this, Tom?’ she says lightly. ‘Do you remember the day I left Skinners?’ he says. She can see them standing together outside his gate. She can remember the way she felt. The shock. The heartbreak. ‘You gave me something that day,’ he says. ‘A piece of golden thread,’ he says. It comes back to her. How could she have forgotten? She can see it so clearly. He points to the envelope. ‘Open it, Charlie,’ he says, gently. She holds her breath, opens the envelope. The thread is there. Perfect. The bow still intact. She holds it in the palm of her hand. There are too many feelings. They defeat her words. She wants to tell him about her thread. How she wore it until it fell apart, fell away. She can’t. She doesn’t trust herself not to cry. He reaches across, takes her hand. She lets him. ‘A confession?’ she manages to say. He steadies himself, meets her eye. ‘I’ve always loved you, Charlie Clarke,’ he says, smiling. She’d known what he was going to say a split second before he said it. ‘I think if it wasn’t for that bloody test, there would have been a chance for us,’ he says. The tears are coming now. She lets them run. ‘You must never give up hope,’ he says. It’s only now that she knows what’s coming. He takes another steadying breath. He’s waited so long for this. ‘Do you thinks it’s too late for us, Charlie Clarke?’ he says. She can’t see him through her tears. lovely story one world two paths becoming one world again such a lovely read. Thank you, Marina. That’s very kind. Absolutely loved this Mark, it was wonderful seeing Charlie and Tom change and grow over the years. It was their destiny that should finally come together, from the tying of the ‘wedding’ ring. to the passing of the envelope. Wonderful read. It had me hooked from start to finish. Thank you, Sandra. It’s great to have such positive feedback. You can find all five of my free short stories here http://mark-haysom.co.uk/the-stories/. And, perhaps, you might also like to try my two novels, LOVE, LOVE ME DO and the sequel, IMAGINE. Thank you so much, Dorothy. I’m glad my story meant something to you. You can find all five of my free short stories here http://mark-haysom.co.uk/the-stories/. And, perhaps, you might also like to try my two novels, LOVE, LOVE ME DO and the sequel, IMAGINE. Thank you so much, Sybil. Sorry to have kept you up so late! You can find all five of my free short stories here http://mark-haysom.co.uk/the-stories/. And, perhaps, you might also like to try my two novels, LOVE, LOVE ME DO and the sequel, IMAGINE. What a lovely, poignant story…so many emotions, and so descriptive that I felt I was there! I was so engrossed, I have just realised it is almost midnight! It has been a long time since I was so captivated by a story and not being able to put it down until the end…Thank you Mark. I am looking forward to reading many more! Thank you so much, Carmel. 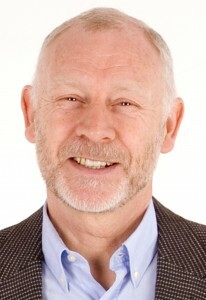 You will find all five of my free short stories here http://mark-haysom.co.uk/the-stories/. And, perhaps, you might also like to try my two novels, LOVE, LOVE ME DO and the sequel, IMAGINE. This story was wonderful brought back so many memories,I loved it could not put it down . The Test. …is a very good story line. I enjoyed it and so happy that both characters eventually meet again to find love and happiness they both deserved. Well done. Wow, what a story,had me from the start,couldn’t stop reading even let my coffee go cold ,wonderful,thank you. Wow what a fabulous story , so real in the telling it was like reading the diaries of their lives. I loved every word and once started I couldn’t put it down. Loved “The Test”. I too was sick on the day of the test – too anxious. Had opportunity to sit later. Never the same. I failed. My mother put me through college but it wasn’t until I was forty that the opportunity to attend university happened. The love I had at 11 years of age never really changed although I married to another person at 21 and divorced later, my first love remains the same and perhaps that’s the way it should be, we all move on. Your story rings so true perhaps for more people than you realise. Thank you. I will now read your other stories thank you for giving me the opportunity to read your well written books. I have always been a book worm and this has never changed and I am now 73. Keep up your writing. I really enjoyed that! Beautiful story which left me with a big lump in my throat. Thank you for sharing it Mark! Loved this story. Very nostalgic and heart warming. I hated my time at school and left with no qualifications. It was only on leaving school that I found a love of books and now avidly read. I also took and passed a Certificate Course in Humanities with the OU in my 50’s. These days I am writing too, trying to get a novel published! I love your stories and have just ordered your first novel. I’m glad you enjoyed THE TEST, Heather. And thank you for ordering LOVE, LOVE ME DO! Best of luck with the novel. What a beautifully written story. Because of illness and missing so much schooling I didn’t pass my eleven plus. I went to a secondary school but didn’t do well there either. Other friends who went on to grammar school often gave me books to read that I loved. My love of reading stemmed from that. Your story was so easy to read to. It made me remember that part of my childhood. I’m going to ask my daughter to buy me your books and no doubt she to will read them. Thank you for such a wonderful evening of indulgement. This is a beautiful story so very well written bringing memories of school which at times was very difficult as I only went to school half a day because of the war l always felt there was thing I did not understand until I left school you are a very good story teller thank you . Wow! This is such a lovely and inspiring story, and told with such insight into both characters. Sad and heartwarming in equal measure. And unforgettable! I loved it and will now look forward to reading more! Beautiful sat reading it with tears in my eyes. I was one of the kids who took 11 plus and was borderline went to grammar school and it was the worst days of my life. Wish I have gone to secondary school always felt out of my comfort zone. Loved this story. From line one I was hooked. I was in the story, you are a very good writer. Hi Mark, I’m so glad I came across your page on Facebook. Just read your wonderful Story “The Test”, It has everything childhood sweethearts, loss, and a love that stands the test of time. Also the lesson in life to never give up through adversity. But, the most important message is the “11+plus”. I too failed, but went on to Tech. College and a late starter too. I really enjoyed your writing, and you saved the real lesson in life to the end. Thankyou, I shall look out for your next story, and it’s great to discover a new writer. I have just devoured ‘The Test’ and will now read your other stories! I was ‘the weak link’ in my music teacher’s chain and didn’t reach my full potential until returning to study as a mature student. Your story touched a couple of raw nerves that have lain dormant for, perhaps, 45 years! Beautiful writing – so glad to have discovered you. How nice of you to reply to everyone! Beautifully written,with amazing empathy and sensitivity. I really enjoyed reading your story tonight. I enjoyed the story. I went to a secondary modern school but still did well . Went on to do further education. The grammar school in my area had a big catchment area so you were very lucky to attend it. You still could succeed if you worked hard. Just lovely, beautifully written. Are you a south London boy? Reminded me of my 11 plus. I was sick so couldn’t take it with all my classmates. I had to go to a strange school I didn’t know with other children who were taking their exam. I was really nervous and couldn’t concentrate. I failed of course! a lovely story I enjoyed very much.Thankyou. Loved the story. Just shows that going to the “secondary modern” wasn’t the end of the world. A poignant story that touched my heart. My life changed when I passed the 11+ too. I attained my dream of becoming a teacher and eventually worked in an FE College. My first marriage failed but my second is a delight! My 2 children and his 3 make me very happy and now we have 6 wonderful grandchildren. But I too sadly drifted away from my roots and now my sister doesn’t want to know me which makes it a sad tale too. Thank you so much for taking the trouble to write, Sheila. I’m delighted to hear that my stories are of some help at what is obviously a difficult time. If you do feel like trying a book, you will find that LOVE, LOVE ME DO is written in short chapters that would make it easy to put down and pick up again. Best wishes. Mark. Loved this story. This is very similar to my own life story. First met my husband in school. Left and didn’t see each other for over ten years. Met up by accident and it was like we had been together all the time. Six months later got married and have been together forty three years. What a lucidly written and totally believable indictment of the 11+ system. And I went to a grammar school from a council estate myself 1957-1962. I identified totally with the characters in this. Glad you liked it, Lyn.